Baltasar Graci�n, in full Baltasar Graci�n y Morales, was a philosopher and writer known as the leading Spanish exponent of conceptism (conceptismo), a style of dealing with ideas that involves the use of terse and subtle displays of exaggerated wit. 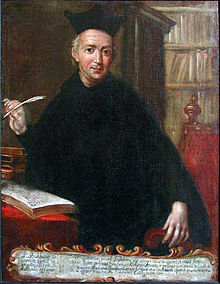 After studying at Calatayud and Zaragoza, Graci�n entered the Jesuit order at the age of 18 and later became rector of the Jesuit college at Tarragona. His early works�El h�roe (1637; The Hero), El discreto (1646; The Compleat Gentleman), and El or�culo manual y arte de prudencia (1647; The Oracle)�were largely efforts to educate people in the ethics of worldly life. His literary ideas on conceptism and the art of conceited writing (writing that continually shocks the reader by the use of startling metaphor) were clearly set forth in Agudeza y arte de ingenio (1642, 2nd ed. 1648; �Subtlety and the Art of Genius�). In defiance of his superiors, he published pseudonymously El critic�n (1651, 1653, 1657; The Critick), a three-part philosophical novel, considered by the 19th-century German pessimistic philosopher Arthur Schopenhauer one of the most important books ever written. In it he examined society from the standpoint of a savage and gave the clearest statement of his pessimistic philosophy with its emphasis on willpower and struggle. Knowledge without courage is sterile. Man's life is a warfare against the malice of men. Few in life are felt to deserve an encore. A continual jest soon loses all zest. Few are the friends of a man's self, most those of his circumstances. Many would be wise if they did not think themselves wise.